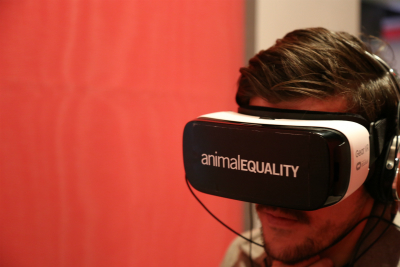 iAnimal uses cutting-edge virtual reality technology to give viewers an immersive look at the life cycle of factory farmed animals from birth to death. Animal Equality is taking iAnimal to some of the most important universities around the world including Harvard, UCLA, Berkeley, Yale, Oxford, University of Berlin amongst others. As part of our Compassionate Outreach Campaign we are launching ‘Animal Equality on Campus’. Animal advocates will be handing out our NEW Veg Booklet to students at universities.Studies suggest that for every 100 leaflets you distribute on campus, you’ll spare a minimum of 50 animals a year, a lifetime of misery. That’s one animal spared for every two leaflets you distribute! So, with just an hour of your time, you can save dozens of animals from a lifetime of cruelty! People become vegetarian or vegan everyday as a result of receiving a booklet — you can be the one making it happen! A great thing about using this approach is that anyone can do it. At the right time and place, just one person can hand out hundreds of booklets in less than an hour. Even if you have a weekday job, don't discount taking a long lunch break or leafleting in the evening -many universities still have significant pedestrian traffic at that time. It can take as little as 30 minutes on the campus to do measurable good. Local community colleges count too. In fact, they may be even more effective, per pamphlet given out, than larger universities as they are more untapped. What does all this mean for animals? Data from the Humane League Labs suggest that college leafleting is an extremely effective veg advocacy strategy (and everyone who you interact with will receive a positive message about veganism). Studies show that one out of every 50 students who received a booklet became vegetarian or pescatarian. Just as importantly, 7% of students reduced their chicken, dairy and egg consumption and 6% ate a lot less fish. A total of 12% reduced their meat intake and one out of every five students said they shared the booklet with someone else who then began to eat less meat. 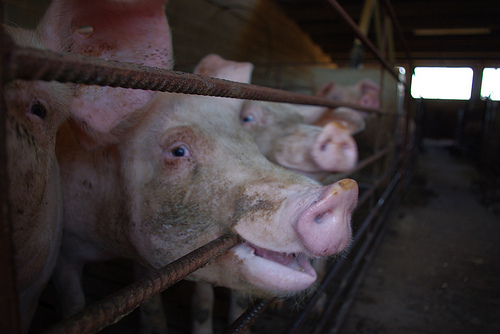 The bottom line is: With each hour you spend leafleting on a university campus, you will truly spare hundreds of farm animals from a lifetime of daily misery. The data is in. The facts are there. 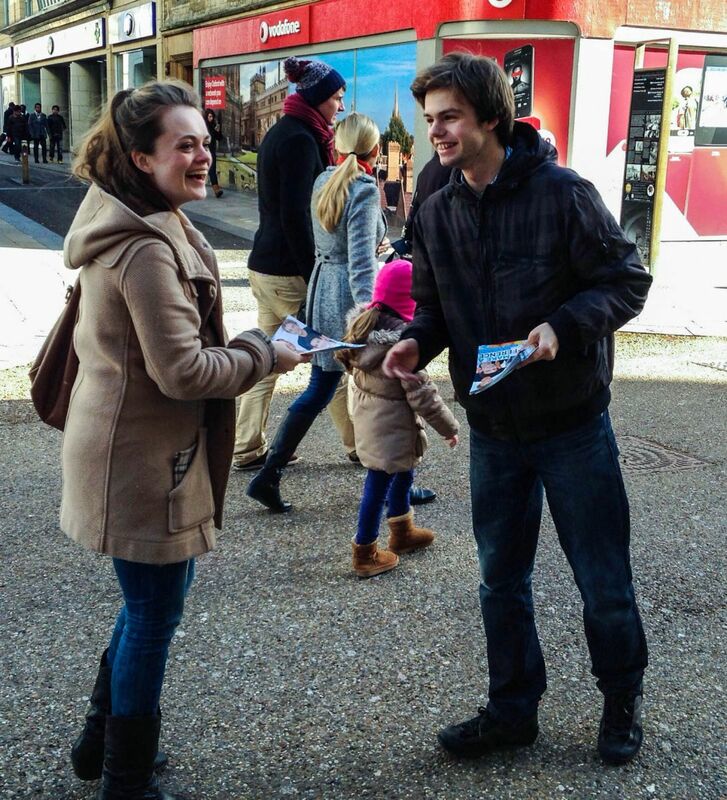 University leafleting is an effective activity for individuals who want to make their community a more compassionate one. If you are inspired by this project, start today to make a difference for a more a compassionate world!